Thompson & Morgan just donated 100s of packets of flower seeds to local charities, ActivLives and St Elizabeth Hospice. The seeds were left over from a promotion that we ran in conjunction with Garden Answers and Garden News, two magazines published by Bauer Media, who were more than happy for the surplus packets to be donated to Suffolk charities. 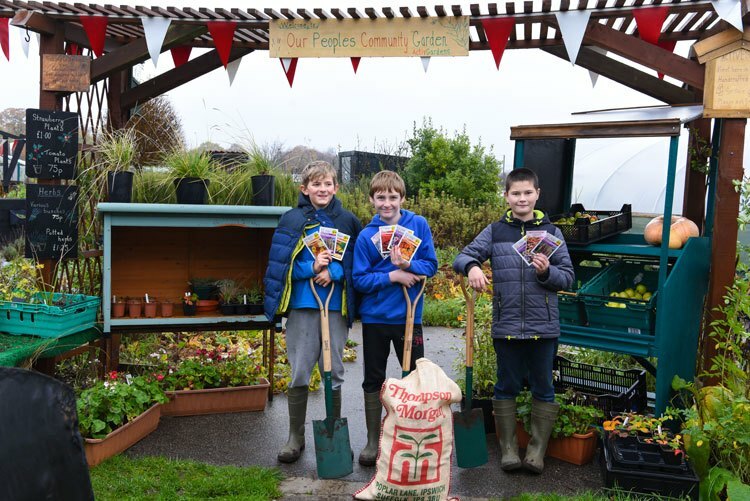 A sack of seed packets was handed over to Danny Thorrington, ActivGardens Project Coordinator at the charity’s Community Garden on Halifax Road in Ipswich, where he was teaching a group of pupils from Chantry Academy.